Bruce and Patricia Herring recently announced a $5 million unrestricted endowment gift to Lynn-based Raw Art Works, a youth arts organization. 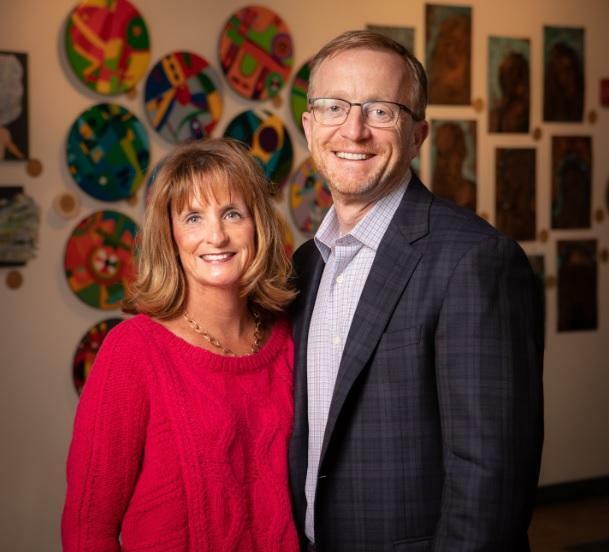 A Lynn-based youth arts organization marking its 30th anniversary this year received a special birthday gift when a Swampscott couple recently announced a $5 million donation to the group. The unrestricted endowment gift to Raw Art Works from its longtime board chairman, Bruce Herring, and his wife, Patricia, will help ensure the nonprofit’s long-term stability and provide it with annual income to sustain and expand programming, according to RAW officials. “This gives us the confidence and the opportunity to plan for and to move more boldly into our future as we seek to fulfill our mission to create greater and greater impact for the youth in our community,” Kit Jenkins, RAW’s executive director, said in an interview. To highlight the magnitude of the gift, RAW noted that in the past five years, only one other Massachusetts-based children and youth nonprofit has received a gift of $1 million or more from an individual donor, based on data from the Chronicle of Philanthropy. RAW still has to fund-raise each year to meet its operating budget — currently $2.2 million — but Jenkins said the Herrings’ gift should help attract other donors. Founded in 1988, RAW originally provided art therapy to children in youth detention facilities. Since moving to its existing building in Central Square in 1994, the group has provided after-school and summer art programs to underserved children from Lynn and surrounding communities. Rooted in art therapy, the programs today serve about 500 youths, most from Lynn and about 80 percent from low-income families, according to Alexandra Ashley, RAW’s development operations manager. “What we are really doing is using art as a means for kids to talk about what is going on in their lives,” Ashley said. RAW’s activities, which include painting, drawing, sculpture, filmmaking, and printmaking, take place in studios and other spaces at its Central Square location. A retired Fidelity Investments executive, Bruce Herring has served on the RAW board for the past decade, the last eight years as chairman. Patricia Herring has been an active RAW volunteer the past 12 years. The couple has made previous smaller gifts to RAW, including serving as lead donor for the $2 million campaign that funded a 2013 expansion project. The donation does not stipulate how the endowment income should be used — apart from supporting RAW’s mission. But Herring, who as board chairman will participate in deciding on those future expenditures, said he and his wife are hopeful that the income will help enable the group to serve more children and to expand its programming and impact.